This book will no doubt inspire you to pick up a brush and get going. It will either give you insight as to what you'll need (not much) to get going, and with the beautiful examples of buildings, reflections, snow scenes, forests, fields, rocks, animals, people, seascapes, and other various landscapes, you'll be painting up a storm in no time. Harrison's use of color is soothing and uplifting, and I particularly liked his shading. Not knowing much about painting per se, I've not let that stop me from having a go. 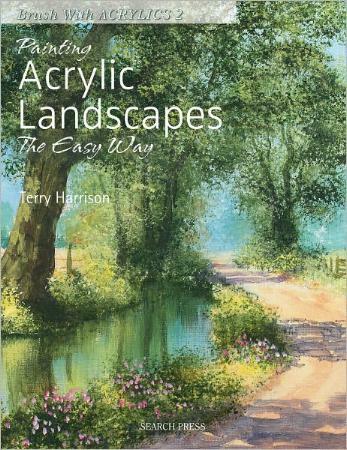 I felt encouraged by this book (and others by Terry Harrison) enough to try my hand. You're given all the necessary information on which brushes you'll need (and get the most out of) and what they're designed to do. Whether you're a beginner or experienced, this book is worth looking at. I think my favorite picture is on page 127 of the house with the green door. I also loved the Venice scene on page 119. I tried my hand a his blossoming tree on page 26 which I was pleased with. I also tried the house on page 28 and the reflections on pages 50 and 65 and was delighted, as it was my first attempt at reflections. Conclusion - A delightful bit of inspiration to help you on your way.